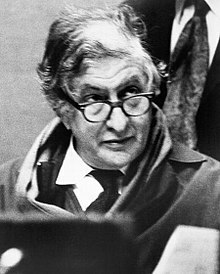 Bernard Herrmann — the composer of such classics as Citizen Kane, Vertigo, Psycho and North by Northwest — is today more revered and influential than even during his lifetime. The Academy of Motion Picture Arts & Sciences and The Film Music Foundation deemed his legacy important enough to launch an oral-history project focusing on this key American composer. 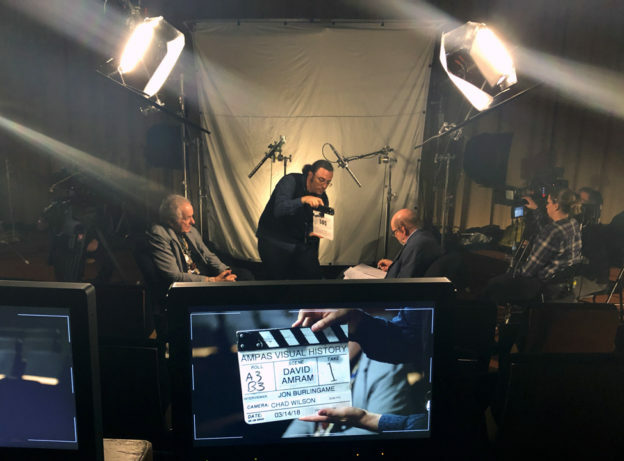 So far we have done nearly four hours of interviews with biographer Steven Smith, director Larry Cohen, editor Paul Hirsch, conductor Richard Kaufman, the composer’s daughter Dorothy Herrmann, and Foundation executive Les Zador. They are all available here, at the Foundation’s website. More interviews are expected to be done in December. This entry was posted in and tagged Academy of Motion Picture Arts & Sciences, Bernard Herrmann, Dorothy Herrmann, Film Music Foundation, Herrmann legacy, Larry Cohen, Les T. Zador, Paul Hirsch, Richard Kaufman, Steven Smith on November 4, 2018 by Jon Burlingame. 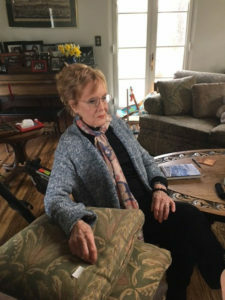 Last year, I was privileged to spend an afternoon interviewing Marni Nixon, the now well-known “ghost singer” whose Hollywood career included being the behind-the-scenes vocalist for Deborah Kerr in The King and I, Audrey Hepburn in My Fair Lady and Natalie Wood in West Side Story. We covered those, and much more of her life and career, over nearly two hours. 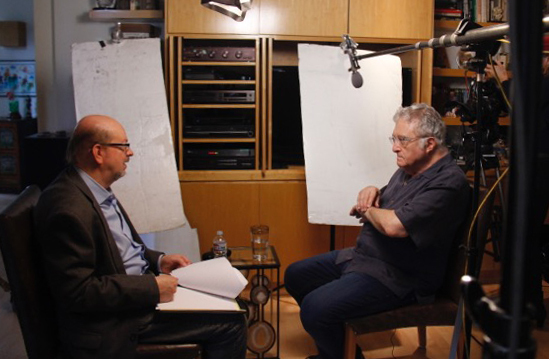 That interview has now been posted on the Film Music Foundation website. She was delightful. She passed away just four months later (here is my obituary for Variety). Also on the site: a new interview with composer Rachel Portman, not done by me but based on several pages of questions I prepared for that interview. This entry was posted in and tagged Film Music Foundation, ghost singer, Marni Nixon, Marni Nixon interview, Marni Nixon obituary, Marni Nixon oral history on March 23, 2017 by Jon Burlingame. It was so sad to hear of the death of Marni Nixon, a wonderful lady with whom I’d just recently conducted a long, on-camera career history (for the Film Music Foundation, to be posted online soon). I wrote this obituary for Variety that talks a bit about her three famous “ghost singing” gigs: for Deborah Kerr in The King and I, Natalie Wood in West Side Story, and Audrey Hepburn in My Fair Lady. But she was much more than that, singing (from the late 1940s on) as part of the Roger Wagner Chorale, in many classical and opera performances, and even classic TV themes (she was in the choir for I Married Joan in 1954!). This entry was posted in Film Music, Obituaries and tagged background singer, behind-the-scenes singer, Film Music Foundation, ghost singer, Marni Nixon, My Fair Lady, The King and I, Variety, West Side Story on July 26, 2016 by Jon Burlingame. The Film Music Foundation has asked me to do a number of interviews for them, essentially long video “oral histories” of composers and lyricists active in film and TV music. The most recent is of Bruce Broughton, the Oscar-nominated, multi-Emmy-winning composer. 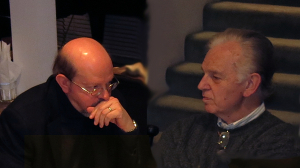 This page will take you to excerpts of several, including Bruce as well as Bill Conti, Dave Grusin, Maurice Jarre, Laurence Rosenthal, Lalo Schifrin, and Marilyn and Alan Bergman. This entry was posted in and tagged Bruce Broughton, Film Music Foundation on January 18, 2014 by Jon Burlingame. We spent the day at Bill Conti’s gorgeous home, shooting an interview for the Film Music Foundation. We covered his entire life and career. I am guessing the entire interview was between three and four hours. Bill is great, funny and self-deprecating, with a million anecdotes about everything from Rocky to Dynasty . 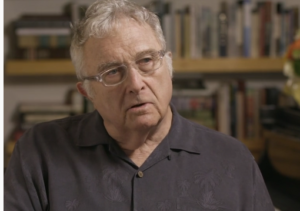 His wonderful wife Shelby served us lunch, and it was just the latest in a really great series of video “oral histories” that the Foundation is doing. This entry was posted in and tagged Bill Conti, Dynasty, Film Music Foundation, Rocky on September 30, 2013 by Jon Burlingame. 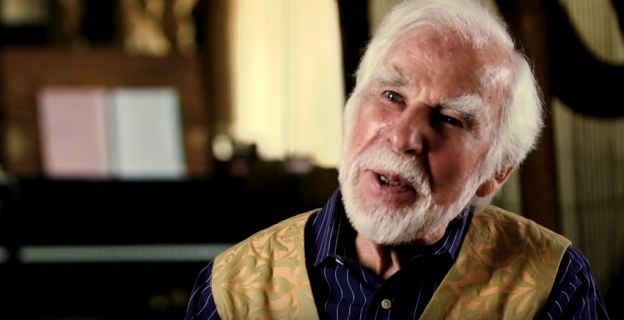 The latest in our series of video “oral histories” with film-music luminaries: a lengthy, genuinely in-depth interview with Oscar-winning lyricists Marilyn and Alan Bergman at their home in Beverly Hills. This was, like most of the others, for the Film Music Foundation . 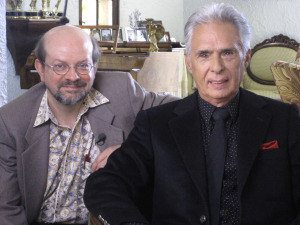 We delved not only into their lives and careers but into their philosophy about lyric writing, for films and otherwise. Stories about everything from In the Heat of the Night to “Windmills of Your Mind” to Yentl. A memorable afternoon. This entry was posted in and tagged Alan and Marilyn Bergman, Alan Berman, Film Music Foundation, In the Heat of the Night, lyricists, Marilyn Bergman, movie songs, Oscar-winning lyricists, Windmills of Your Mind, Yentl on September 1, 2011 by Jon Burlingame.